Dudley's finally made the aquaintance of Cassie! He seemed to take to it very well. 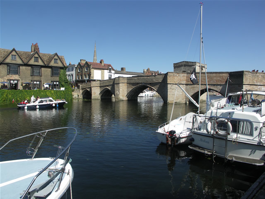 We've added a blog to the boat section of the site which we'll update regularly. This site has been tested and is compatible with the following browsers: Mozilla Firefox; Apple Safari; Opera and Google Chrome. It has also been tested with the poor excuse for a browser that is Microsoft Internet Explorer, and should be just about compatible with version 6 and up. 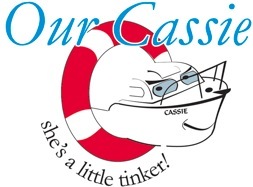 Welcome to our-cassie.co.uk. 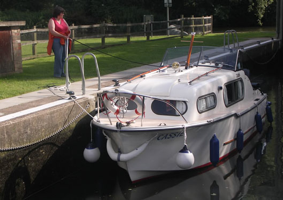 A website dedicated to our boat Cassie, a gorgeous Freeman 22 MkII, her renovation and adventures, and also our canine companions. We want your photos! If you'd like your boat or dog featured in the friends section of this site, please email us some pictures and details using the contact us link at the bottom of the page. For those that have already supplied photos, how about some more, interior shots for instance - the more the merrier. This website will be functional in IE6, but some pages won't display as they should - minor alignment issues etc. We recommend you update to a modern web browser, our recommendation would be Mozilla Firefox. We think this is the best browser currently available and it's free to download. It will keep you much safer online as well. Marina, Simon, Cassie and Dudley.